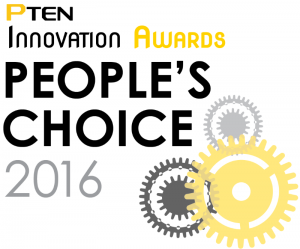 Mitchell 1 announces the Scheduler feature in its Manager SE auto shop management software has won a People’s Choice award in the 2016 Professional Tool and & Equipment News (PTEN) Innovation Awards program. For the third year in a row, PTEN readers were able to voice their opinions and vote for their favorite products nominated in the Innovation Awards program. Mitchell 1’s Scheduler also received a PTEN Innovation Award in August. That award recognizes tools that PTEN’s panel of independent expert judges view as the most innovative products introduced in the last year to the automotive aftermarket. ll aspects of their scheduling process with a searchable, sortable and configurable calendar with an appointment editor. The tool gives shops one more way to increase efficiency and provide better service to customers. For information about Mitchell 1, visit www.mitchell1.com, call (888) 724-6742 or locate an independent sales consultant at www.mitchellrep.com.